Jahlil “Oaks” Okafor was drafted 3rd by the Philadelphia 76’ers, befuddling everyone. That may be the reason for his contemptuous doffing of their hat and half-hearted handshake with the Commissioner !!! Justise “The Chief” Winslow was curiously drafted at #10 by the Miami Heat, who made no bones about it that they were astounded that he was still available !!! Tyus “The Little Big Man”Jones was scooped up at the #24 spot by the Cleveland Cavaliers, but then promptly traded to the Minnesota Timberwolves, meaning his dream was fulfilled. He was going home !!! Quinn “The Captain” Cook went undrafted, but was immediately signed to a summer league contract with the Oklahoma Thunder. He will, once again, have the opportunity to prove himself under the watchful eye of new Coach Billy “The Kid” Donovan. Congratulations to each of you gents !!! 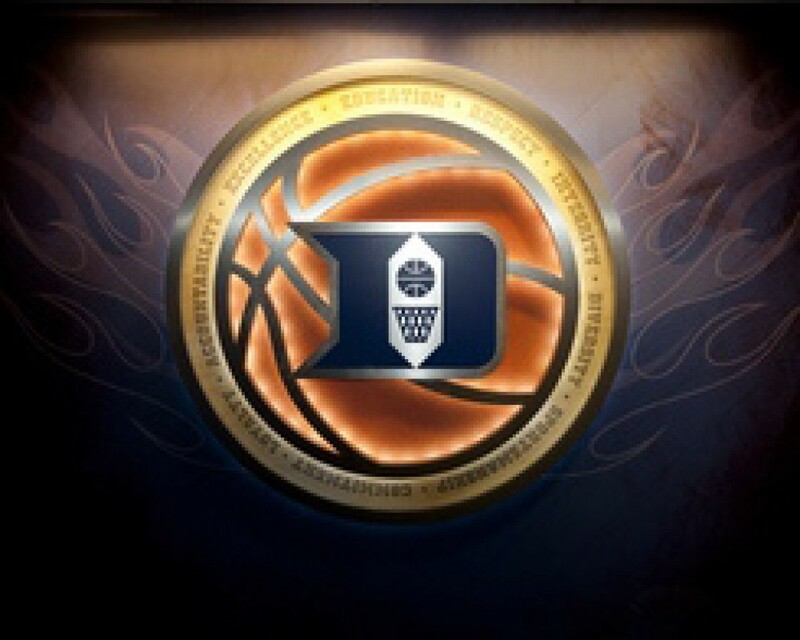 Simply Duke Basketball: Are the Proposals by the Rule Committee Really for the Better ??? They want to reduce the Shot Clock from 35 seconds to 30 seconds. They believe it will increase possessions and increase the pace of play … What do you think ??? I don’t know how much of a difference this will make because it’s only 5 Seconds. Teams should try to attack more rather than waste time setting up their Offense. This will make the game more exciting and with higher scoring, except for one thing: Skill-wise, college basketball is suffering. The mid range game is dying and all kids want to do is shoot 3 Pointers. There have been some ugly games recently because some teams can’t score. Would a lower shot clock change that ??? I’m NOT in favour of this move. It is a double-edged sword that does not take into your excellent point about how college basketball is suffering from a skill perspective. There are the teams that garner the top recruits who will quickly mature. Then there are the teams that do more with 2nd tier players. Finally there are the teams who absorb the rest. Just about every kid who is recruited these days is interested in showing off for the NBA Scouts. I think that the lesser teams will suffer trying to force the ball up-court and scramble to set up. For coaches who traditionally run-run-run, the loss of 5 Seconds will not even be noticeable as they will do fine. The coaches who press will be drooling because hastening (forcing) the Offense up the Court will cause more TurnOvers. I don’t think that speeds up the game, nor increases scoring. TurnOvers interrupt pace of play and momentum. Count me as a serious “no” on this one !!! They want a more strict enforcement of Defensive Rules. They believe it might reduce physicality. Do you think that’s possible ??? Not sure I am for anything that reduces physicality. Would Jahlil Okafor thrive in a less physical game ??? I’m a “let them play” type of guy. If you go back to a number of our post-game commentaries, you’ll see me lament over how discombobulated the officiating was. One Referee calls touchy-feely fouls we usually call “ticky-tack” while others don’t call a Foul unless blood is almost spilt. I guess the best way to describe me is that I’m for physicality, but only to the point where players should not need mouthpieces. Physicality ought never be replaced by “thuggery.” I’m a product of the olden days when the game was more finesse, and I love players and teams who demonstrate that style of play. Unfortunately, the majority of players rely on being able to “body” a player than practicing things like “boxing out” and that increases Fouls. I think this “rule change” will increase the number of fouls those “ticky-tack” Referees call and doubt it will change the mindset of the others. More importantly, I do not see anything in the “rule changes” that emphasizes consistency, and that’s a bad, crazy thing !!! They want to increase the “Arc” from 3 feet to 4 feet. Do you think this will make any difference ??? There is a chance that this might bring back the “back-to-the-basket” game but as this is a dying concept in the NBA, kids at grass root levels would rather shoot a 3 Pointer than Post Up. It might be too little too late. Also, it might encourage big players to go for the block rather than take a Charge. There is nothing more ridiculous than seeing a 7 Footer trying to draw a Charge near the basket from someone a foot shorter than them. Patrick Ewing would never have done that !!! Ah, Patrick Ewing … the guy who introduced my word “thuggery” to basketball, and why I quit watching the team I grew up with – The New York Knickerbockers. He changed that team and it has never accomplished what I grew up loving. Speaking of growing up, I grew up watching and loving Wilt “The Stilt” Chamberlain, the quintessential “back-to-the-basket” Center. There were others, but none of his caliber. I do wish I could have seen Shaquille O’Neal play against Wilt. As for college kids, I agree with you totally. They do not develop other weapons like the Lew Alcindor “Sky Hook” or even a “baby hook” … they miss what I call “chippies” more often than not. Have you ever wondered why the NCAA does not differentiate between the shooting percentages for players down low, who rarely leave the Paint, versus the kids who rarely enter the Paint ??? It’s because they don’t want to make many “bigs” look foolish for all the “chippies” they miss. That’s not to even count those who look silly when they miss a DUNK !!! What might worry me more is if increasing the Arc does not work, will the powers-that-be have the temerity to move it back ??? They are reducing the team Time Outs from 5 to 4, with no more than 3 able to be carried over into the 2nd Half. They also want to resume play more crisply, as well as apply that to when a Player fouls out. They will allow Time Outs called within 30 seconds of a Media Time Out to become a Media Time Out, and not a chargeable Time Out. Do you think this will have any impact ??? Timeouts are a coach’s lifeline especially in a hotly contested game, I am surprised that the NABC (National Association of Basketball Coaches) aren’t protesting this one !!! You said a mouthful !!! I’d love to ask the NABC what THEY think, but if there is any change to be made to this proposal, it will be done behind closed doors. I do like the idea of allowing the substitution of the team’s TimeOut when it is that close to the Media Time Out. That’s a very sensible proposal. Is CBB beginning to look more like he NBA with every year ??? I completely understand and sympathise with the theory behind this. How often do we tune into a game specifically to see a certain player only for the player’s overzealous actions to land them on the bench with early foul trouble rendering that game unwatchable. There is also the issue with losing key players early. Like the 2004 Final Four, where Duke matched up with UCONN, the premiere matchup were Shelden Williams and Emeka Okafor. Both landed into early foul trouble. The Huskies won that game because Coach K gambled by putting Williams back in the game too early and he eventually fouled out of the game. Jim Calhoun held his nerves and re-inserted Okafor at the right time, which lead to a victory because Duke had no answer for Okafor at that point. As a Duke fan who constantly relives that game, I should want to see 6 Fouls but I don’t. I think players should be disciplined enough to avoid foul trouble and still maintain a high level of play on either side of the court. This past season we have seen Jahlil Okafor (apparently a distant relation to Emeka Okafor) pick up 4 Fouls and still find a way to help Duke secure a championship against Wisconsin. That’s a part of the game. The NCAA should not do a coach’s job for them. The argument for 6 Fouls is that with the new rule changes discussed above – the extension of the charge/block area, the shorter shot clock leading to a faster pace game, and the attempt to reduce physicality. These will incur many more Fouls than normal, which could lead to a lot more disqualifications. Six Fouls would soften the blow, so to speak. I guess I’m the “Negative Nellie” this time. I do not approve of anything that makes college basketball look and feel like the NBA. When you watch the NBA Draft on the 25th of June, count how many of those kids who left school get drafted. Then count how many actually play next year. Compare those numbers to the all the kids that played last year, just in the Big Dance. You see the disparity of numbers ??? If you need more convincing, count how many kids declared and how many didn’t get drafted, then look to the local grocery store for them … they’ll be collecting carts. Contrary to what Comrade Calipari has convinced Kentucky, college basketball is not the developmental league of the NBA. College sports are supposed to be secondary to an education. After all, even the NCAA still calls them “Student Athletes” !!! Oh, one more thing … Did you know that my all time favourite, Wilt Chamberlain never fouled out of a game ??? If he can do it, then maybe it’s not all that much of a problem, now is it ??? OK, now it’s your turn … What change(s) did they omit ??? What change(s) would you make to improve our beloved game of college basketball ??? There were only a handful of teams that were enjoyable to watch outside of your desired team this past season. Remember when coaches used to recruit role players with their athletes ??? Jon Diebler, Lee Humphrey, Jon Jenkins, Chris Lofton, Salim Stoudamire and JJ Reddick ??? If Kentucky or Arizona had one of those guys they probably would have been a lot better off. Good shooters open up the Defense so that the athletes can do their thing, whether through dribble penetration or around the rim. Well now, the reason that particular 38-1 team did not prevail this year was because they played a “cupcake” schedule, both in and out of their conference. Then, when they needed leadership, the college basketball world, once again, was reminded that Kentucky has a fantastic recruiter who is not much of a coach. He even admits it recently by saying that all he care for was to get 9 of his kids picked for the NBA Draft. That’s not a coach, that’s nothing more than a pimp for the NBA. To my way of thinking, he had made the Kentucky basketball programme nothing more than a whore house. Instead of making his money off of the NBA, he has somehow convoluted the traditional relationship. He makes his millions by simply logging tonnes of wins. The Kentucky fans just riot when they lose the “big one” !!! Now, my proposed change would be to the present way games are stopped for video replay confirmations. In a tight, highly competitive game, it is a de facto Time Out. It gives both coaches the opportunity to impart strategy they would not otherwise be able to do if the replay confirmation had not stopped the game. It also gives the kids a “blow” which again impacts competition. My change would eliminate these video confirmations in favour of a Referee who is watching replays in real-time. If the Ref’s on the Court called a “3” incorrectly, the “Video Referee” could stop the game via the horn. He’d make the scoreboard change, without the de facto Time Out and the players moving on the Court. There is plenty of technology in place to facilitate this and keep the game moving in what is usually the most critical time of the game. Let’s face it, if FIFA can make a call in the Goal instantaneously and not affect play (or maybe the next shot), so can college basketball !! !